Trendy yet charming, simple yet impressive. Pineapples are the total! With these minimalist earrings you steal the show. Buy them now in gold or silver and match them with your favorite outfit. Also check our Pineapple necklaces and bracelets for the complete look! 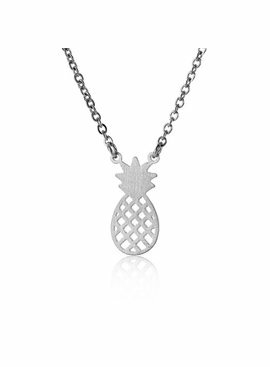 How cute is this subtle mini pineapple necklace? Because the pineapple necklace is so subtle you can wear this cheerful piece of fruit every day. Super nice to combine with our pineapple bracelets and earrings!